Tributes poured in from around the country Monday as mourning continued the day after Japan lost legendary sumo wrestler Chiyonofuji, who died in a Tokyo hospital due to pancreatic cancer at the age of 61. The funeral and memorial service for the former yokozuna and 31-time champion will take place at noon on Sunday at the Kokonoe stable in Tokyo’s Sumida Ward, and the Japan Sumo Association will be discussing whether to organize a send-off ceremony. An official announcement has yet to be made, but Sanoyama stablemaster and former ozeki Chiyotaikai is expected to fill the void left by Chiyonofuji as the new Kokonoe stablemaster. Kasugano revealed JSA Chairman Hakkaku, former yokozuna Hokutoumi, who was an apprentice to Chiyonofuji in the same stable, is devastated at the loss and incapable of dealing with the media. Former yokozuna Kitanofuji, who was the head coach of the Kokonoe stable when Chiyonofuji was still active, visited the stable and spent a few minutes with his former disciple. “All I have to say to him is, ‘Thank you for your hard work.’ I was blessed with a wonderful disciple,” he said. “Chiyonofuji is Chiyonofuji. He was wild but sensitive. He used bad language but his heart was not as bad, and he was actually easily moved to tears,” he said. Former ozeki Tochiazuma, now the Tamanoi stablemaster, also had nothing but praise. “He was a star, and we’ve lost a very important person. 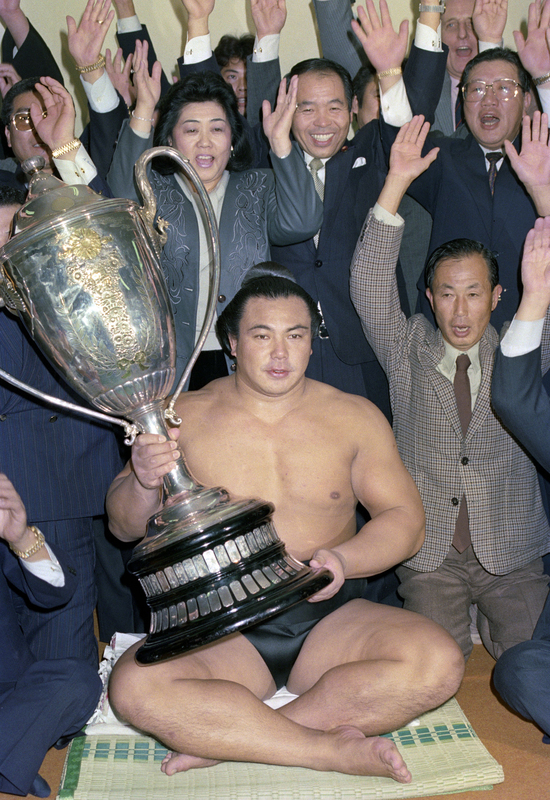 He was some yokozuna,” Tochiazuma said. A flower stand and condolence message books were placed in front of the stable for fans who visited to bid farewell to the first sumo wrestler to win the People’s Honor Award in 1989. Chiyonofuji had surgery for pancreatic cancer last year, and had been telling his close associates the cancer had spread to his stomach and lungs. On the fourth day of the Nagoya Grand Sumo Tournament on July 13, he complained of sickness and had apparently been hospitalized since.